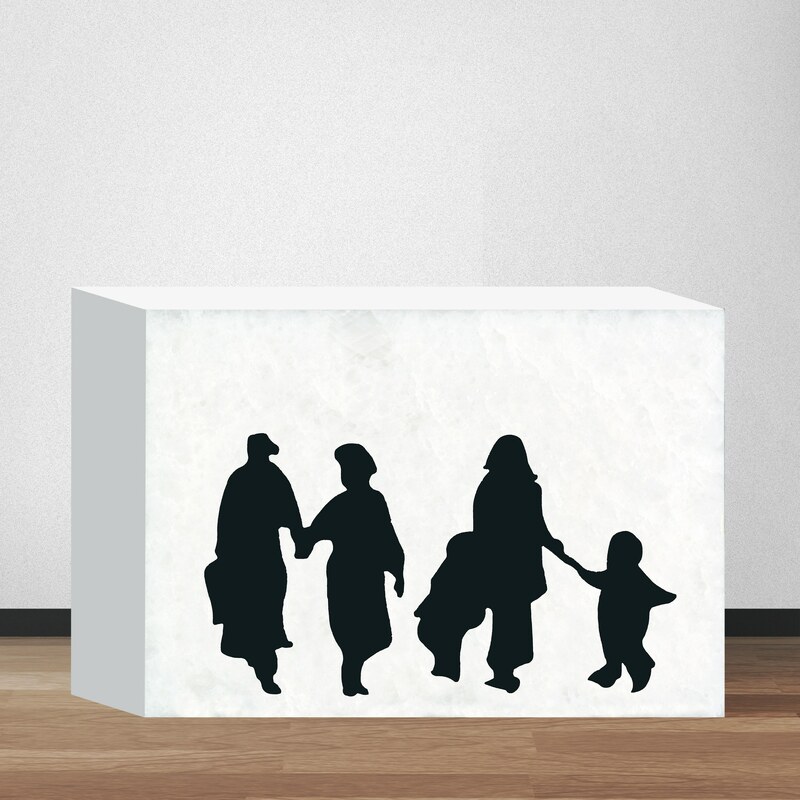 White Shadows is a sculpture designed by Richard England, depicting cut-outs of a family group strolling on a Malta seafront promenade where people enjoy leisurely walks. The cut-outs in the travine marble slab allow light to pass through to cast white shadows on the sculpture base. Only these cut-outs cast white shadows, as shadows are always areas of no light and darkness. The sculpture is a work designed specifically to reverse this process. A limited edition of 5 in a deluxe case, individually numbered and signed by Richard England are available from Kite Group.